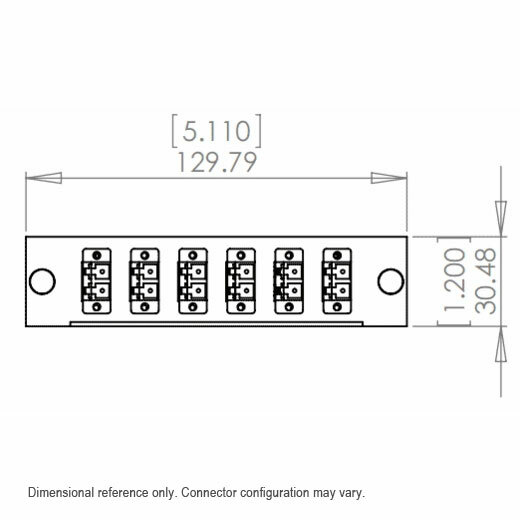 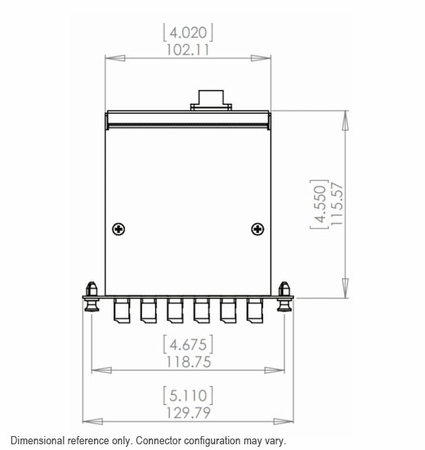 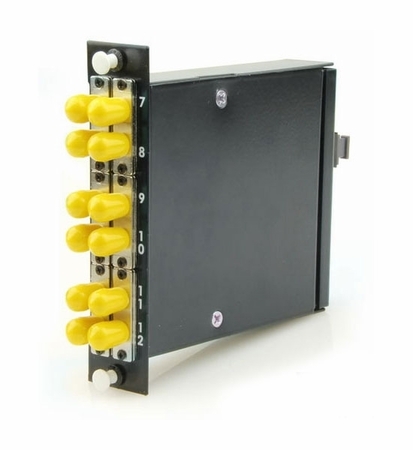 The 12-Fiber Multimode OM4 Duplex ST to MTP Fiber Cassette from LightWave is used to make high-density blade server, patch panel and switch connections. 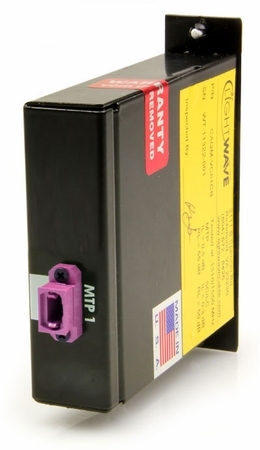 The MTP cassette is a great alternative to the use of splice on pigtails when you need to connect from multi fiber cables to standard single fiber patch cables. These OM4 optical cassettes are fiber adapter panels with pre‐terminated and pre‐tested fiber harnesses already loaded in the cassette.